You want that house boat loan because you've looked at over a dozen boats, and finally found the perfect one. Want to learn how to improve your finance possibilities, and get a good rate on a houseboat loan? Update: Great news for liveaboards, you can NOW get financing. Are you looking to live aboard a houseboat? Do you want a low interest rate on a house boat loan? Want to be pre-approved, or review your refinance options? I can help you! We'll look at some of the Tips, some Basics, the Pros & Cons, Sources & Types of Loans, the Criteria, and the Credit Rating numbers that financial institutions use to approve applications. The goal, a Dream Houseboat! Update: Boat Loans, Refinancing, and Pre-Approvals now available. Are you looking to buy a boat soon, looking to be a live-aboard, or you are ready to secure that loan now? I can help you with rates, pre-approval, a quote, or refinance options, and secure that loan. I highly recommend speaking to Joey from N.F. 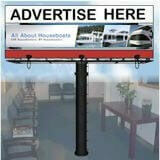 as they're one of the most reputable and resourceful houseboat loan companies. The loan quote inquiry is simple and quick, and I know that he'll take good care of you. If he can't get you a boat loan, no one can. Need a House Boat Loan, Quote, or Refinancing? For a refundable service fee of $9.95, we'll personally take care of your request and put it directly on the desk of the leaders of houseboat financing. Should you get financing through our service, we'll gladly refund and reimburse your $9.95 service fee. If you're in the USA and looking for a loan, a quote, or pre-approval, or refinance options, use this form and we'll take care of your inquiry. We'll refund your $9.95 service fee should you get a loan through us. NOTE: Only for US residents, and for boats less than 20 years old. For a Boat, Refinance options? * ---Select---New Boat. Used Boat. Refinance options. Reason for a Loan Inquiry? * ---Select---Rate / Quote inquiry? Pre-Approval amount? Boat Loan request? Refinance options? Your Down Payment Amount? * ---Select---@ 20-25% down payment. @ 26-30% down payment. More than 30% down. Refinance options. Tips to help get your Loan approved! 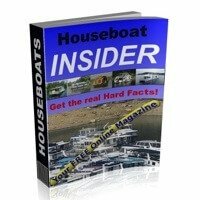 What are the differences when financing a NEW or USED Houseboat? Monthly Payment is directly related to the Loan Amount, and length of Time to re-pay. The larger loan, by longer the term, equals to more interest to be paid. 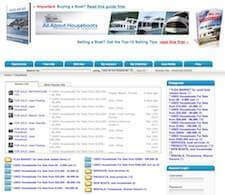 Term for House Boat Loans depends on age of boat. Therefore New or Newer boats can go up to 20-25 years, and older boats generally cannot be financed for as long, thereby increasing the monthly payment. Down Payment is the amount of cash, or "trade-in" value that is being applied to the purchase price to reduce the amount of financing required. Depreciation is a factor that needs to be addressed when deciding to purchase a "new or used" houseboat. Just like cars, they tend to go through a greater depreciation during the first few years, than later on. Credit Rating basics is simply an overview showing the way Financial Institutions look at loan applications. Credit reporting agencies like Equifax will compile information on consumers, and apply a FICO Score to rate the applicants credit health & credit worthiness. You should know your Score. Eliminate surprises, check your credit rating first, before applying. The preference is to get a Credit Report to view your credit file. It's a simple process, and helps you get a better understanding of how your application will be evaluated. Our recommendation to you is to get the Credit Report first, review it first, then apply for a loan. Fix your credit today! Repair your credit report now! LifeLock : Identity Theft Prevention Solution! Other Factors to Consider are Debt Ratio, Collateral, Down Payment, and your Credit History. These are all things Lenders will be considering. In order to find good rates and better service, you'll want to find someone who specializes in marine loans, and if possible, in houseboat loans. Your first choice would be House Boat Loans companies, second choice can be Banks & Credit Unions, and the last choice might be Financial companies. 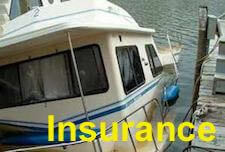 House Boat Loan companies specialize in boat loans and are better equipped to handle your application. There are some well known marine lending institutions, but none like the industry leaders like Joey from N.F. My first choice is N.F. for quotes, pre-approvals, refinancing or simply securing that loan. Banks & Credit Unions can be a second alternative, yet some appear to not be prepared or interested to handle a Marine Loan application. Financial Companies can be a third alternative, yet do look at the fine print to verify interest rates, conditions, and the total cost involved. 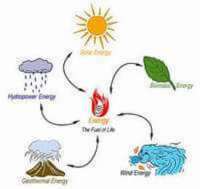 Fixed Rate, Fixed term is commonly used in the industry. The length or term of the loan, and the interest rate stay "fixed". Variable Rate, Fixed term is also popular since the borrower can have a "variable" or fluctuating interest rate, and benefit from any decreases. Balloon payment loans is another choice, which allows for the total loan amount, including interest be paid at the end of the pre-determined term. Use this free Loan Comparison Calculator to compare loan amounts & monthly payments. This will open a "new window" for the calculator. Down Payment is the amount of cash, or trade-in value that will be applied to the purchase. Generally the amount can range from 10-20% of the purchase price. On some NEW Boats, no cash down is available. Credit Rating is one of the criteria that lending institutions will consider when reviewing a loan application. Have a look at our Credit Tips below. Debt Ratio is a factor calculated as a percentage of available income, less total debt. You generally want to stay below a 40% debt ratio. Purpose and Cost of Survey is to an overview document of the Value, Seaworthiness, and Condition of the vessel. Costs can vary, but a ballpark figure can range from 10-30$ a foot, however this is money well spent! Survey Now or Later is a question that we get asked often. Insurance and Financial institutions now generally require a Marine Survey before proceeding, so save yourself the trouble, so get it done first. 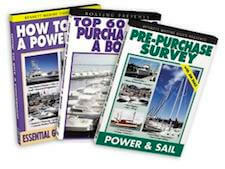 Benefits of a Survey are that the prospective buyer can ascertain the Condition, Value, Seaworthiness of the boat, and can use to evaluate, or negotiate the purchase price. A survey is required for Insurance & Loans.